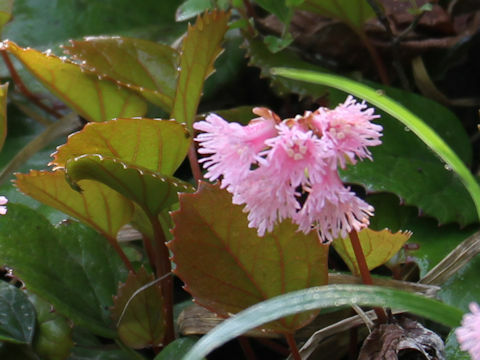 "Oo-iwakagami" (Schizocodon soldanelloides var. 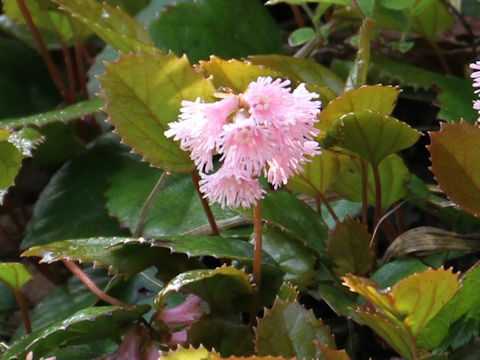 magnus) belongs to the Diapensiaceae family. 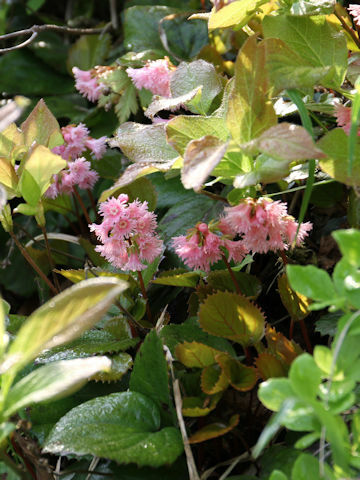 It is an evergreen herb that is distributed from southern Hokkaido to the Japan Sea Side of Chubu district of Honshu. 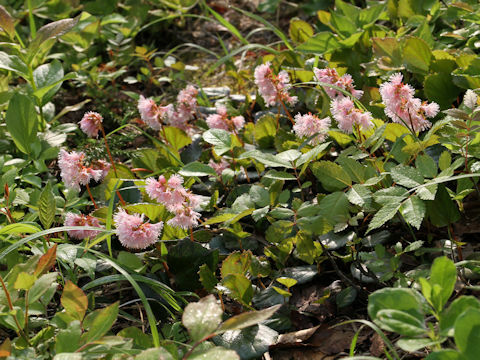 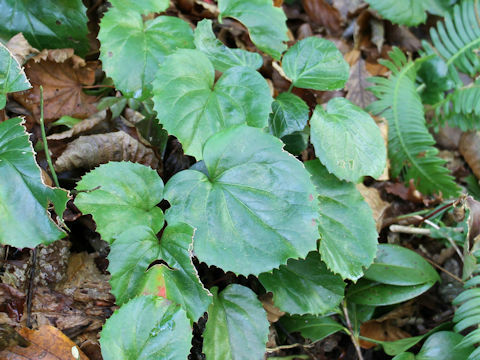 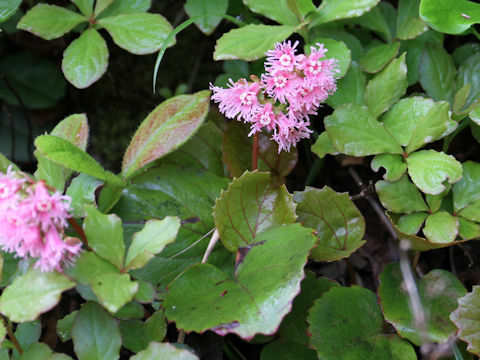 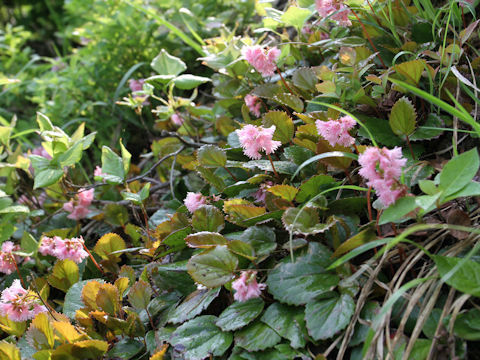 This herb grows on the understory of beech forests, and up to a height of about 30 cm. 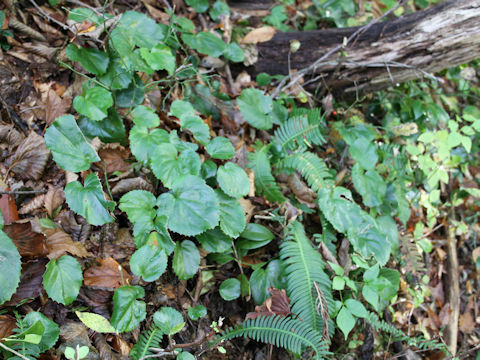 The leaves are larger than "Iwa-kagami" (Schizocodon soldanelloides) and conspicuous with sharp toothed edges. 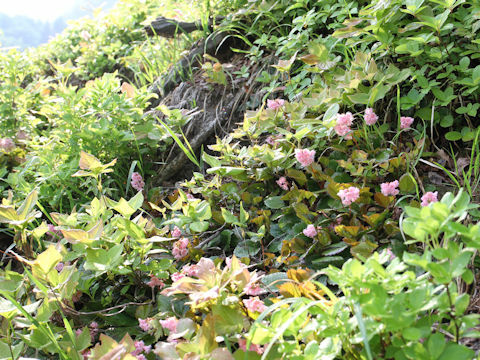 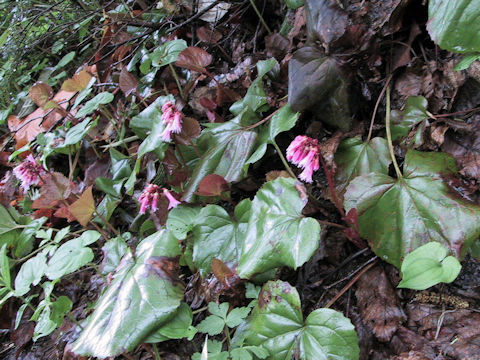 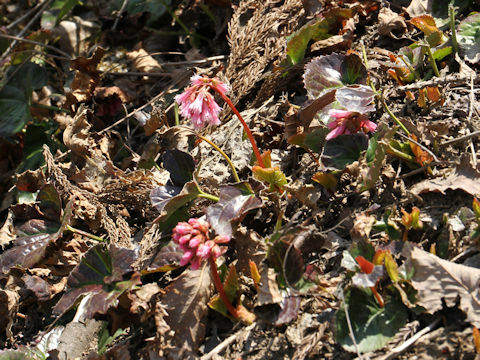 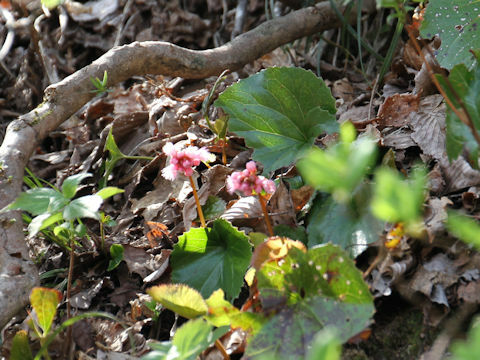 The flower stalks are stretched and pink flowers are blooming in a raceme from April to July. 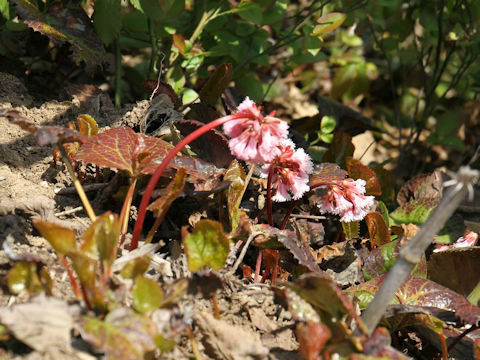 The corolla is funnel-shaped, five partite with fine-divided tips.